Form 15H is required for saving TDS which is deducted by banks. You need to simply fill form 15H form at your State Bank of Travancore Branch to save TDS. If you are looking for Form 15H of State Bank of Travancore? Get that form in PDF Format from BankForms.org. Download State Bank of Travancore Form No. 15H in PDF Format. Form 15G is required for saving TDS which is deducted by banks. You need to simply fill form 15G form at your State Bank of Travancore Branch to save TDS. If you are looking for Form 15G of State Bank of Travancore? Get that form in PDF Format from BankForms.org. Download State Bank of Travancore Form No. 15G in PDF Format. All banks made it compulsory to update Aadhar with them to link their Bank Account. You can download State Bank of Travancore UID / Aadhar Updation form from here. Download State Bank of Travancore Aadhar Updation form in PDF, State Bank of Travancore UID updation form in PDF, download State Bank of Travancore UID / Aadhar Updation form absolutely free from here. So, Download State Bank of Travancore UID / Aadhar Card Updation form to link your bank account. SBI bank is the largest government in India and always been crowded. People tend to spend hours standing in long queues for completing their banking transactions. There is only one solution for this, opt for Internet banking of SBI. 1. First of all, the user has to obtain the internet activation form for this purpose from the official website of SBI. It should be filled and submitted to the branch where you are already holding a savings account. In case, you are opening a fresh account, the application form already has a separate page for this purpose. 2. Once you have submitted the application, you will receive an envelope containing the password. It is delivered to home address. It is important that the address mentioned in the application form is correct so that you can receive the password. 3. Username has to be collected from the bank only and make sure that the envelope is sealed when you are receiving it. 4. Thereafter, you have to login on the offcial website for SBI internet banking, www.onlinesbi.com. 5. At the time of first login, you will be asked to change the password and add a profile password. Profile password is used when you are transferring money from one account to another. 6. You might have to visit the branch in case some problem occurs. You can contact the bank manager to get your doubts clarified. But you should keep below mentioned points secret and never disclose to anyone. 1. Never disclose your password to anyone. 2. The mobile number you give while filling the application for net banking is very important. You will receive one time verification code on that number for validating every transaction. 3. Onlinesbi.com also asks users to update their passwords at regular intervals so as to keep the accounts safe. 4. Do not fall in trap of calls of scammers pretending to be bank officials and asking you for bank account related information. Comment below for any clarification about this post. Download State Bank of Travancore RTGS form / NEFT Form here for transfer of Funds in India. This is the best place to download State Bank of Travancore RTGS Form, State Bank of Travancore NEFT Challan Form. Also you can download State Bank of Travancore RTGS form / NEFT Pdf form, State Bank of Travancore RTGS/NEFT Challan Softcopy, challan pdf. This site also provides Application for RTGS Remittance of State Bank of Travancore /State Bank of Travancore Real Time Gross Settlement Application etc. All banks are providing Fixed Deposits to customers and pays approximate 6.5% to 8% per annum. They also pay for less number of periods also but the rate is lower for short term deposits. We have listed latest FD rates of State Bank of Travancore below. Get information about FDR Rates of State Bank of Travancore from here. VIEW State Bank of Travancore FDR RATES. For Latest Rates, please refer to State Bank of Travancore website. 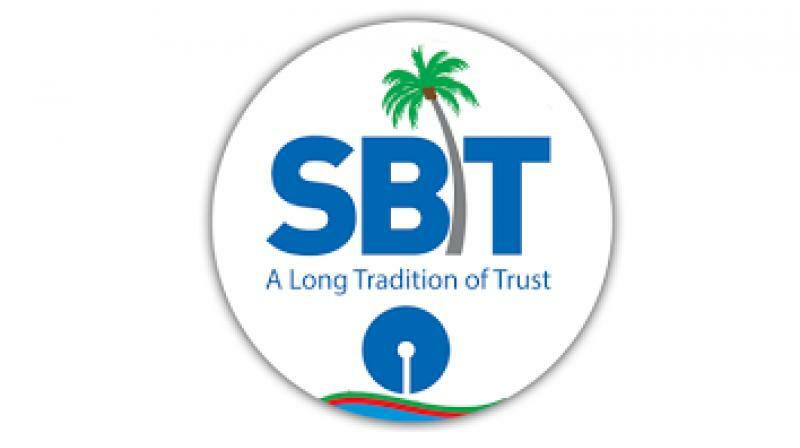 State Bank of Travancore was a major Indian bank headquartered in Thiruvananthapuram, Kerala, and was a major associate of State Bank of India. SBT was a subsidiary of the State Bank Group, but also had private share-holders. Download State Bank of Travancore Deposit slip which can be used for depositing cash and cheques in any of the branches in India. Download State Bank of Travancore RTGS form / NEFT Form from here for transfer of Funds to any bank in India. Get the latest FDR Rates of State Bank of Travancore and make your investment decisions accordingly.